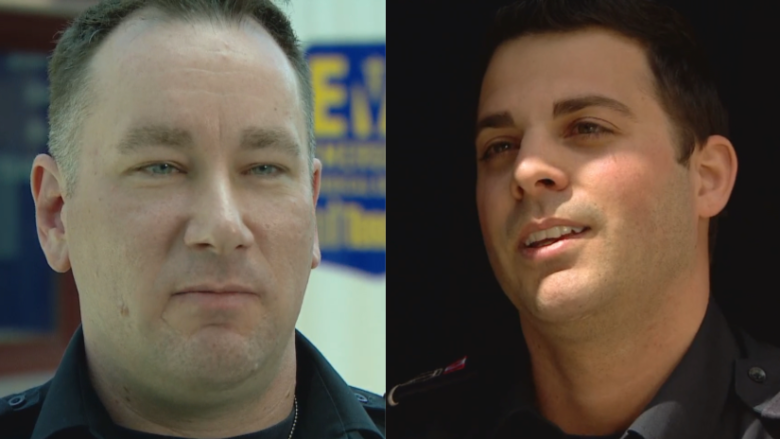 More than a week after a van attack that killed 10 people and injured 16 others along a busy stretch of Yonge Street, first responders share their stories of calm and professionalism in the face of chaos. Just seconds after a van rampaged down Yonge Street in one of the deadliest attacks in modern Canadian history, the phones in Toronto's 911 call centre were already lighting up. "It was almost instantaneous," said advanced emergency medical dispatcher John Shirley, a 13-year veteran with the service. On that sunny Monday afternoon, Shirley had been booked as a training officer at the communication centre, there to help new call takers learning the ropes of the job. Those plans were immediately scrapped after the very first call to the centre, in which a witness described a white rental van speeding down the sidewalk, grievously injuring a pedestrian in the process. "Based on that, we thought there was potential for a lot more patients," Shirley said. He rushed over to the centre's tactical desk and was asked to take command of the event. 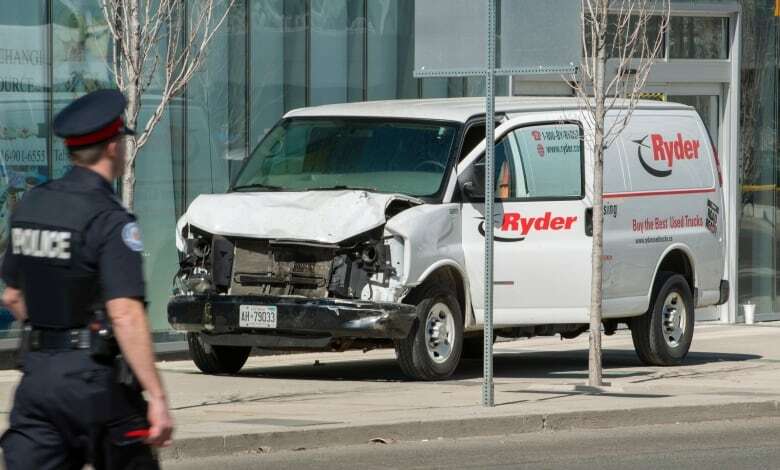 During the next two hours and 15 minutes, Toronto's 911 call centre responded to 1,206 calls, 873 of them directly related to the van attack. Over the same period a week earlier, the centre received 397 calls. A year earlier, responders took 369 calls during the same 135-minute stretch. "I've worked large scale events before," Shirley said. "But nothing with this level of devastation." During the calls, his newly assembled team walked civilians through triage procedures and set up command points for paramedics as they arrived on scene. Some of the callers were standing with victims who had been hit by the van. Other callers were helping bystanders who had suffered cardiac arrests in the wake of the rampage. It was a frenzy the likes of which Shirley had never before seen, but he said call takers at the centre stayed professional and composed even as the extent of the devastation was becoming clear. "It's an emotional event, it can be overwhelming, but it's important to stay focused," he recalled. "You have to stay focused to be able to get the job done." While the calls were flooding in, paramedics were quickly springing to action as well. Chris Rotolo was dropping off a patient at Mount Sinai Hospital in downtown Toronto when he received the first radio call about the attack. At the time, details were sparse but alarming. The radio call described multiple pedestrians who had been struck, resulting in a possible mass casualty situation. As they rushed to the scene, Rotolo and his partner reviewed triage procedures and worked through a flurry of questions. What's our game plan on arrival? What do we do if we get split up? What happens if the attack is still happening? "It was a lot to process," he remembered. Once they arrived, their task had been simplified: tend to a critically injured victim and get them to Sunnybrook Hospital's trauma centre as quickly as possible. Rotolo found the patient, put the person into the back of an ambulance and rode with them all the way to the hospital. "As difficult and as unprecedented a scene like this is, everybody found a task and did what was assigned," he said. More than a week later, he doesn't know what happened to that patient — just how the job goes, he said. After finishing his shift that afternoon, Rotolo saw the news and learned how many people were killed during the attack. "It wasn't easy to sleep that night," he said. "We don't see things like this." More than a week after the attack, both responders say they're only now starting to realize how terrible the event was. "The first night or two I didn't sleep too well," added Shirley. "I was still trying to take all that apart in my head. I'm still trying to make sense of it all." While that processing continues, paramedics can take comfort in their performance responding to the attack. "I did my best that day and my colleagues did an amazing job," he said. "It helped."